Back in Jakarta, my favourite sushi place is Kiyadon Sushi. I kid you not. I like it better than Sushi Tei. After Sushi Tei comes Sushi Groove. Meanwhile in Copenhagen, I have not decided which one is my favourite. But I can recommend some sushi places according to my likeness. They are Domo Sushi, Izumi+ and Takii Sushi. All of them offer all you can eat sushi which I highly recommend. 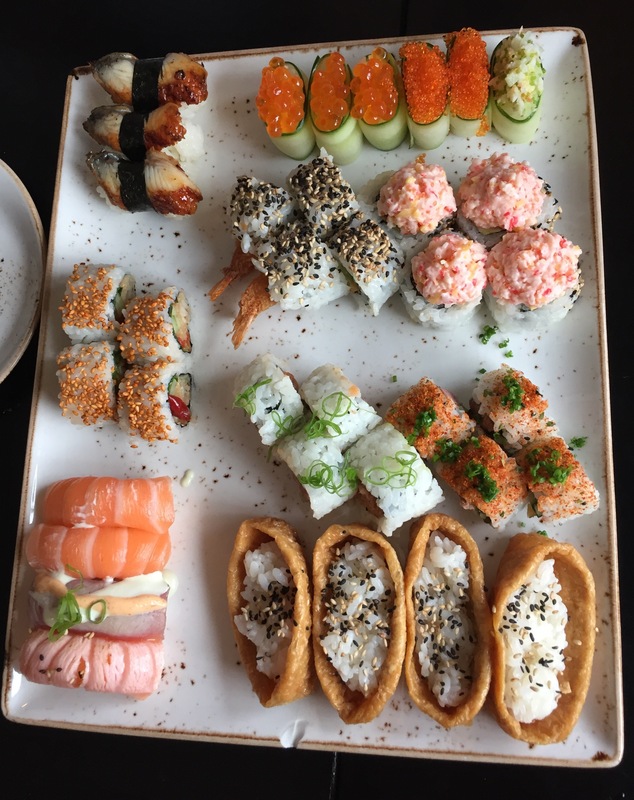 Domo sushi is located in Danasvej 40, 1910 Frederiksberg C, just 10min away by bike. I like it the best because it has delicious sushi. The sizes are quite small. So the rice and filling portion is in my liking. 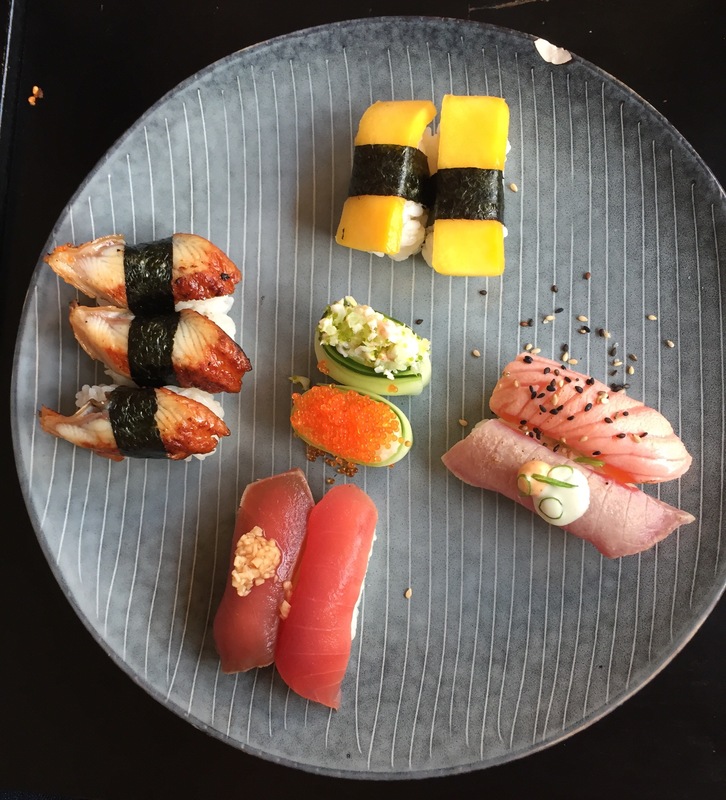 You could eat a lot because your tummy is not filled up by so much sushi rice. 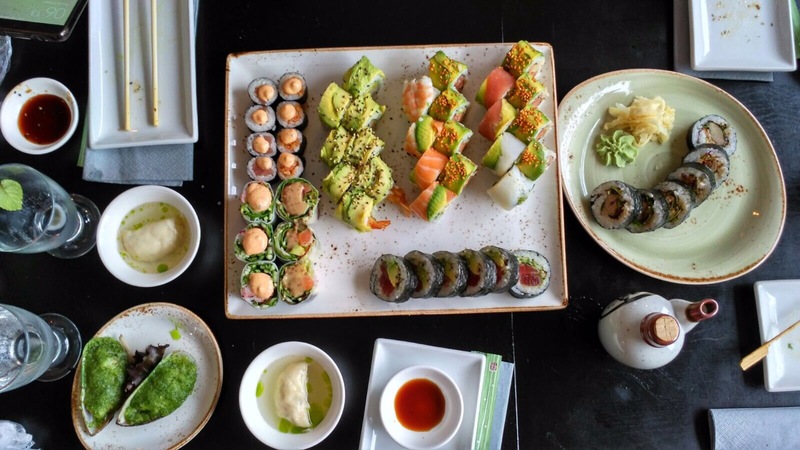 And you could try almost all of the type of sushi, appetizers, and tempura that they have. On top of that, the all you can eat offer includes dessert! And you can choose not only 1 or 2, but 3. Hmmm… Try their pannacotta and chocolate ice cream. Perfect ending for a sushi dinner. My second fave is Izumi+. This place is a bit further to the north of Copenhagen in Strandvejen 59, 2100 København Ø. Even though it shares the same postal code with my address it is 13min further than Domo. This place could be my fave if they started to include dessert in their all you can eat offer. It has super delicious seaweed salad and Eel sushi. It also serves “nordic twist” sushi option which is great. Jus dont tell the Japanese, ok? And I am not going to tell you what kind of twist, you need to figure out by yourself. 😉 All the pics in this post are from Izumi+. Hmmm… yummy. Last but not least is Takii Sushi. Takii is the closest from my home. It is in Jagtvej 113, 2200 København N, just 9min bike ride. But I guess you had already figured it out that I live in a very centered area where I could go to east, north, a little south in less than 15min bike ride. Nothing bad from this sushi place than made it to the last spot. It’s just simple ordinary delicious sushi place. No dessert included. No nordic twist. A bit too much rice for the sushi, if I may say.